Gaining great popularity in present day because of its high nutritional value – rye (Secale cereale), is a cereal which has become popular only recently. It is known to have been cultivated for the first time by the people who lived in 400BC in the regions of South and Southwest Asia and nowaday Turkey. In Europe, rye is popular only in Germany and the Scandinavian countries. There, it is widely consumed and considered as food of the poor for centuries. Rye grass can be grown easily even in a nutrient-poor soils. Unlike wheat, rye grows well in dry and cold climate. The wheat and the rye grain strongly resemble. Rye grain, however, is higher, with more pointy shape, and rye wheat ears have a larger volume than ones of the wheat. Rye classes averaged 150 cm. high with colors ranging from yellowish brown to grayish green. Rye is subject to attack by specific fungus called ergot. They produce toxic alkaloids. Therefore, the practice of harvesting grain necessarily involves removing the pulp shell of rye grains and cleaning before the next stage of processing. With this practice, part of the useful vitamins and minerals is lost, but the process ensures the elimination of potential toxic ingredients. large amount of fiber – 33% of the PMF. Rye is a good source of B complex vitamins: B1, B2, B3, B5, B6 and B9. The more dark a rye flour is, the higher its fiber content! Whole-grain rye flour is richer in necessary dietary fiber than whole-grain wheat flour. Fibers stimulate bowel function and reduce the risk of constipation. They increase the viscosity of the food mass, thus slowing down the emptying of the stomach and small intestine. This increases the feeling of satiety, which may reduce food intake. The increased viscosity of the food mass leads to delayed digestion of starch contained in rye flour. 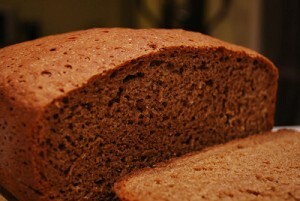 Therefore, the rise of blood glucose after consumption of rye flour is less compared to that produced from wheat flour. The low glycemic index of rye breads contribute to a stable level of blood glucose and makes rye breads suitable food for type 2 diabetes sufferers and reduce the risk of its development. In 8 years of research by the US Food and Drug Administration, including over 41,000 participants, it was found that consumption of whole grains and mainly rye, is associated with an impressive 31% reduced risk of developing type 2 diabetes. It has been proven that beta-glucans, which is found in rye flour, reduces the elevated levels of LDL in the blood. Rye contains less starch than wheat, and more free sugars, which dominate fructooligosaccharides. Together with the fibers they have a stimulating effect on intestinal flora, particularly on bifidobacteria bacteria, i.e., exhibit probiotic effect. Probiotics have a beneficial effect on intestinal balance and, as a result, improve the function of the digestive system. 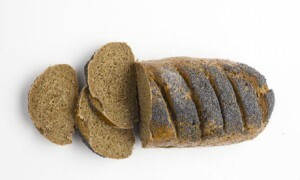 Rye flour contains 30% more iron, twice the Potassium and three times more Sodium than regular bread! 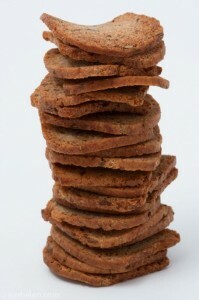 Rye bread is among the most recommended food for anemia. Above all, it is a treasure trove of vitamins. The outer layer of the endosperm rye grains, just like wheat, is rich in minerals and vitamins, especially those of the B group. Rye seeds contain polyphenols, which have antioxidant activity. Studies have found that people, who regularly consume this bread, have 30% less chance of getting heart disease and other cardiovascular diseases compared to consumers of white bread. 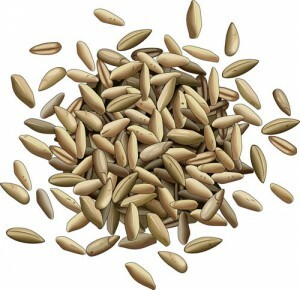 Consumption of foods rich in insoluble fiber, protect against gallstones. Study from 2009 showed that the consumption of rye products reduces the risk of gallstones by 13%. Fibers protect the body by binding with toxins and leading them out of the system thus reducing the risk of colorectal cancer.